Do taxpayers benefit from spending billions to subsidize sports stadiums? The data suggest otherwise. When did this practice start? With the exception of several stadiums built as part of Olympic Games bids, the first publicly funded professional stadium was Milwaukee’s County Stadium, which in 1953 enticed the Boston Braves to relocate to Wisconsin. But the game changer for publicly funded stadiums was the Baltimore Colts’ stunning 1984 move to Indianapolis after Baltimore city officials refused to pay for renovations to Memorial Stadium, the Colts’ home field. Sports team owners now had the Colts’ example to use in blackmailing cities, and by 1992 taxpayer funds had played a part in subsidizing 77 percent of U.S. professional sports stadiums. “The stark reality is that cities and their leadership are mainly complicit in stadium boondoggles,” says urban theorist Richard Florida. Almost exclusively, no. 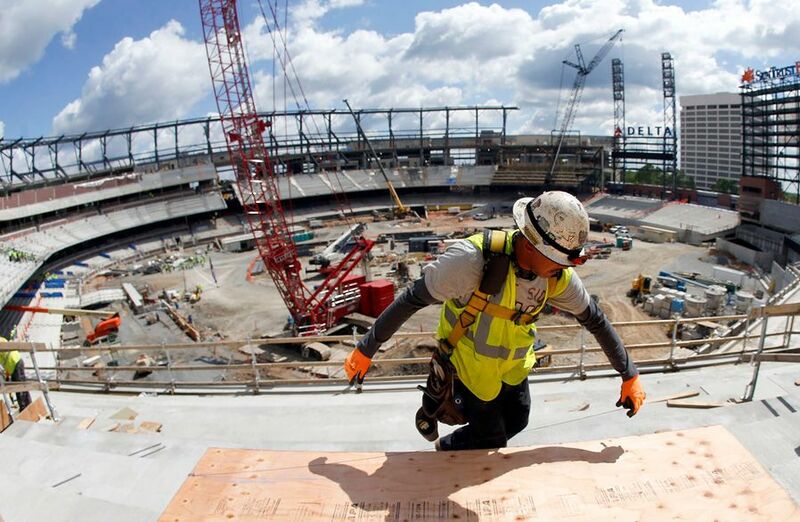 “Studies consistently find no discernible positive relationship between sports facility construction and local economic development, income growth, or job creation,” said Brookings Institution Senior Fellow Ted Gayer, co-author of a detailed analysis of this issue. The promised influx of jobs mostly amounts to temporary construction work and low-paid, part-time positions for stadium vendors and ushers. The biggest myth, say economists, is that stadiums generate new revenue for cities by luring people to spend money in and around ballparks. There’s some evidence this is true for minor-league teams in small towns, but research shows that in big cities, “consumers who spend money on sporting events would likely spend the money on other forms of entertainment,” said Scott Wolla, a senior specialist at the Federal Reserve Bank of St. Louis. Fans who spend $150 at a ballgame, in other words, are spending money they’d otherwise shell out for movies, restaurants, shows, or concerts. So there’s no net increase in dollars spent in the community or sales taxes collected. And in some cases, communities have had to cut other spending in order to finance stadiums. Oakland cut its police force by 18 percent in 2011, in part to help pay the debt from building the Coliseum, thereby increasing average police response time to emergency calls to 17 minutes. In 2014, the struggling city of Detroit cut pensions for retirees by 4.5 percent at the same time it subsidized a new stadium for the Red Wings. Such sacrifices do not guarantee loyalty from teams, which despite their generous public subsidies remain privately held businesses whose billionaire owners usually put their own interests first. St. Louis and San Diego—with Oakland soon to follow—have empty football stadiums that remain saddled with a combined $220 million in public debt. Where are their former teams? In lavish new stadiums that other cities were willing to help finance as a lure for moving.